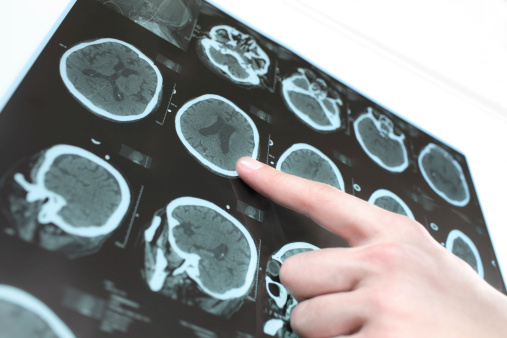 A new study published in the journal Annals of Internal Medicine has linked tiny brain lesions, tissue that gets damaged by disease or injury, to an increased risk of developing a stroke. Researchers from the University of Mississippi Medical Center used magnetic resonance imaging (MRI) to analyze brain scans of almost 1,900 participants between the ages of 50 and 73 with no previous stroke history. Upon analyzing the data and tracking health records over the course of about 15 years, researchers discovered that stroke risk, or mortality from stroke, was three times higher for participants who had small brain lesions. According to Dr. Thomas Mosley, one of the lead scientists behind the study, some of the lesions were so minute (smaller than three millimeters) that when observed in clinical practice, they would usually be deemed insignificant and/or overlooked. This is due to the assumption by some physicians that lesions of this size are too small to be classified as abnormal. But as these latest findings reveal, that may not be the case. Strokes continue to be a principal cause of fatalities in the U.S., and have shown to lead to an increased rate of long-term disability; however, knowing that even the slightest damage to brain tissue is associated to an increased stroke risk may amplify the attention that clinicians give to small brain lesions. Having the ability to identify early signs of stroke risk, such as in brain scans, can reduce the long-term burden of cardiovascular health, not only on the individual, but also on the public health system. “Typically disregarded brain lesions may warn of heightened stroke risk,” Science Daily web site, July 6, 2015; http://www.sciencedaily.com/releases/2015/07/150706183247.htm.